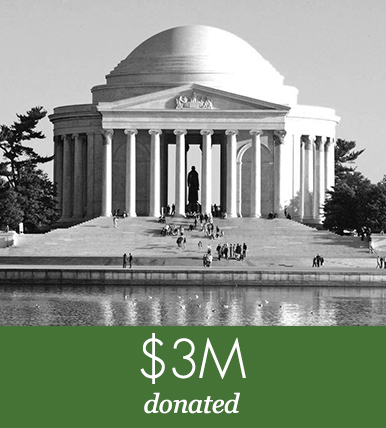 Did you know that nearly every monument and memorial on the National Mall was created in part through private donations? These citizen-led efforts have made it possible to tell our American story. 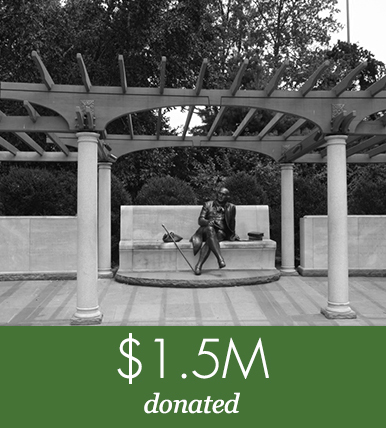 Your donation today continues that legacy by supporting important restoration and improvement projects. In 1833, a private organization formed called the Washington National Monument Society, dedicated to funding and building a monument to the nation's first president. The first example of private support on the National Mall, the Society funded the first 156 feet of the monument before going bankrupt. In 1876, Congress voted to fund the completion of the monument. In 1934, Congress created the Thomas Jefferson Memorial Commission to manage and fund the project. Four years later, in 1938, Congress voted to provide a portion of the funds while the Commission raised the remaining. In 1979, the Vietnam Veterans Memorial Fund was established by Vietnam Veteran, Jan Scruggs. 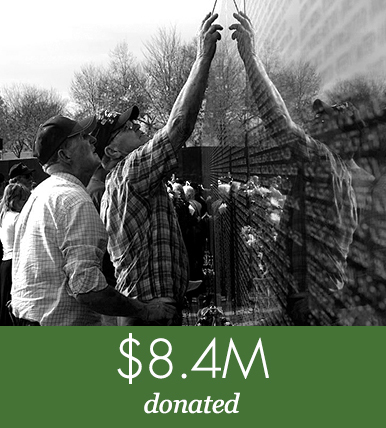 The Fund raised all $8.4 million from over 250,000 individuals and corporations to build the Memorial. The National Committee for the Korean War Memorial was formed in 1979 by a Korean immigrant by the name of Chayon Kim, but later went defunct in the 1980's. 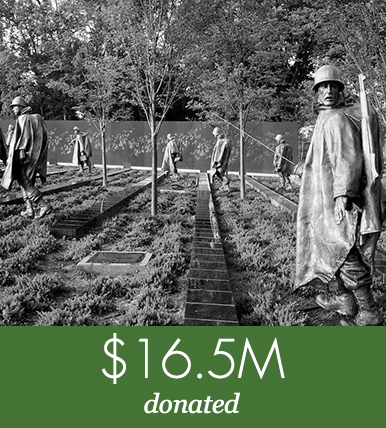 The Korean War Veterans Memorial Advisory Board and the American Battle Monuments Commission were successors of the National Committee for the KWM, who managed the design, construction and fundraising of the Memorial. In 1955, Congress established the FDR Memorial Commission to manage the project. 30 years later, Congress agreed to fund $42M of the Memorial's cost, with the final $10M raised by private donations. President Bill Clinton established the Memorial Advisory Board in 1994 to work with the American Battle Monuments Commission to design and raise funds for the World War II Memorial. Only $16M of the cost was federally funded. The George Mason Memorial is managed and funded by the Board of Regents of Gunston Hall and is cosponsored by the Colonial Dames of America. The project was 100% privately funded. The idea for the Martin Luther King, Jr. Memorial was initiated by the Alpha Phi Alpha Fraternity in 1984. The Memorial Foundation - formally named the Martin Luther King, Jr. Memorial Project Foundation - managed the project and raised $110M to fund the project, with Senate voting to provide $10M in additional funding in 2005.